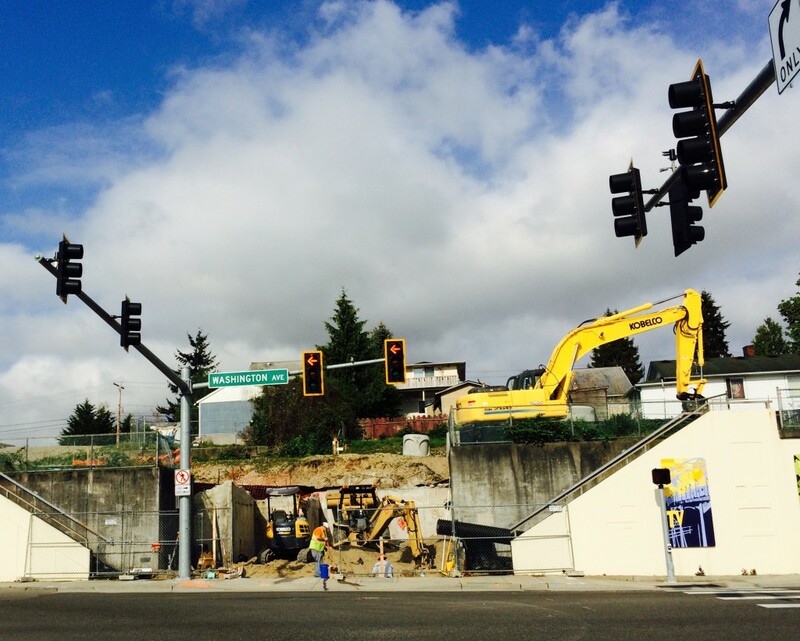 Late last week, the Earth movers started up above the Manette Bridge (see above photo). I happened to run into Wes Larson, its developer, last week at Great Peninsula Conservancy’s Spring Dinner, and so I had to ask. Yes, the permits are in hand and construction on the $15 million project has begun, I learned. First up is attaching utilities to the property via Washington Avenue. You’ve probably noticed how there’s a gap in the retaining wall on Washington that used to be John Hoffman’s garage/storage space. Now, that gap is helping to provide crews space to underground the utilities into the project. Once that’s done, a new retaining wall will go up and that space will be filled in. From there, the project will go up five stories. Its original completion date was January 2016. I suspect that may be pushed back since construction didn’t start quite as early as anticipated. Spyglass isn’t the only new apartment project going up downtown. You may have seen the 606 Burwell project, which is moving along for an opening date before the year’s up. There’s also designed projects that have not set dates for construction but are ready in theory. Those include “Evergreen Pointe” near the park and the Towers project off Sixth Street and Washington Avenue. I’ll keep you posted as I hear more on any of these projects. 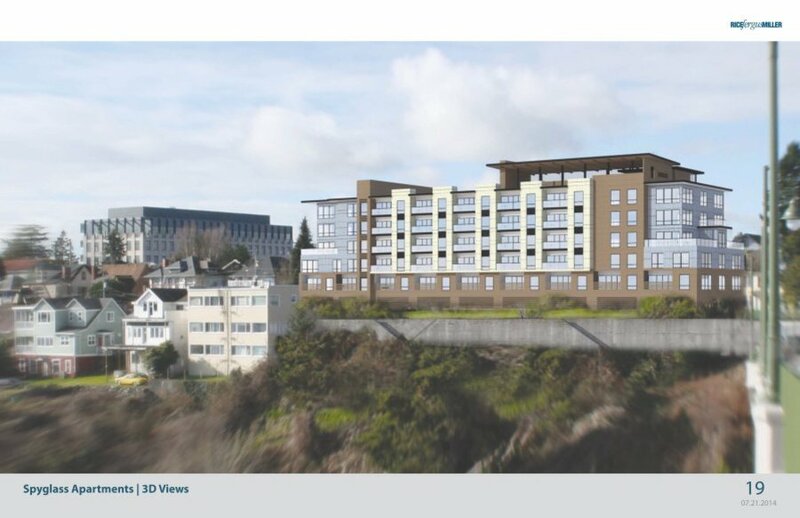 What Spyglass Hill will look like when it’s completed. Though it may appear that way, there’s actually no underground parking in the project. any floor plans and estimated monthly rent avail? Nothing I have yet. But I will look for it.